February is Career and Technical Education (CTE) Month. Throughout the month, the CTE Department will highlight the wonderful work accomplished in our classrooms. 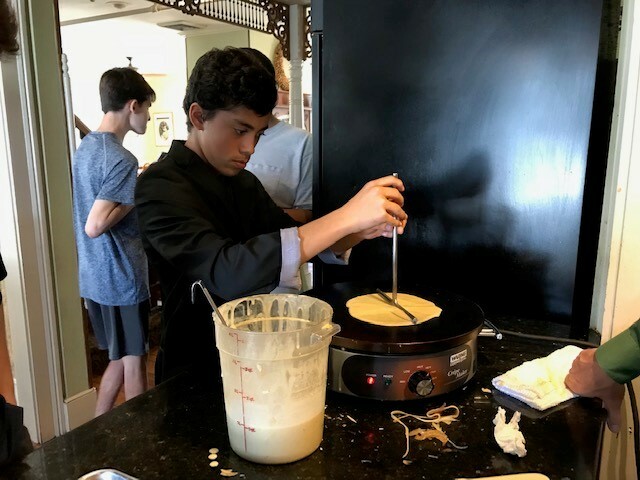 Project Innovation is a Career Academy district competition to encourage students to apply skills developed in their Career Academy programs in new and unique ways to benefit society or the environment. 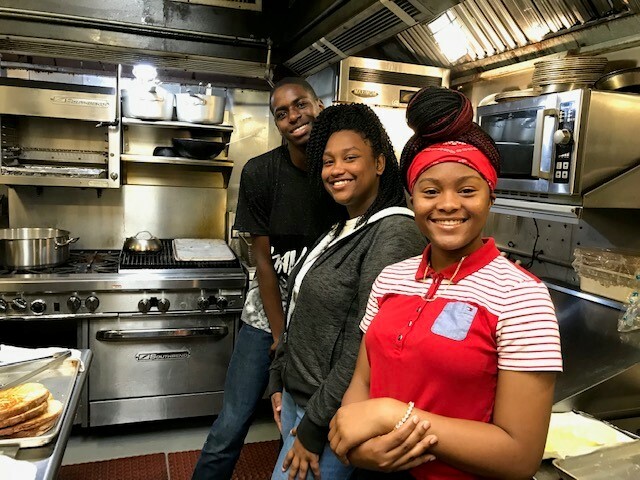 This year 571 high school students participated on 145 Career academy teams at six high schools. A water collection device absorbs humidity from the air and transforms it into potable water for people in third world countries who struggle with access to drinkable water. The device is self-sustaining and cost-efficient. The Teaching Academy received the 2019 Florida Future Educators of America Outstanding Chapter Award. 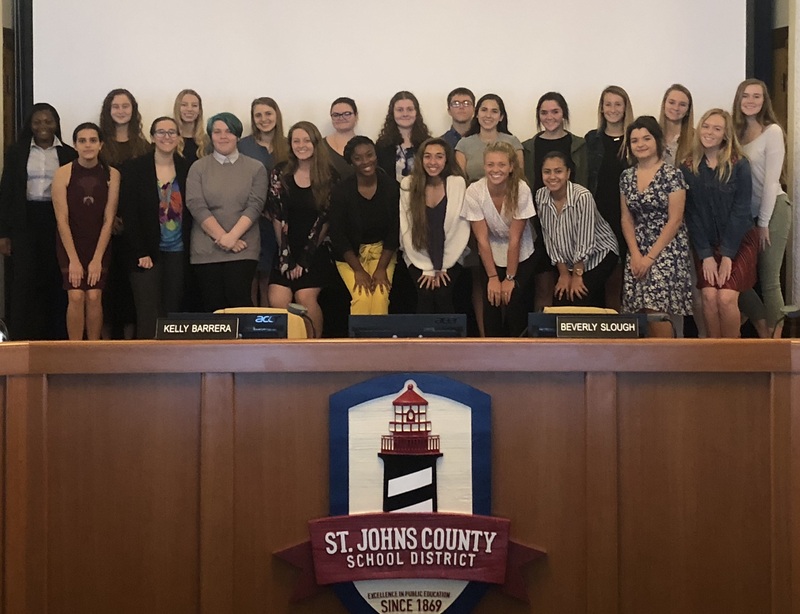 Level 4 Teaching Academy students, attended the November School Board Meeting to support the curriculum for their unit of study on the Organization of American Schools. Aerospace classes completed an unmanned aerial vehicle (UAV) build through a project-based learning unit. Aerospace Academy seniors took home 3rd place in this year’s District Project Innovation competition. The team designed a fire fighting drone that could take fire rescue to the next level. 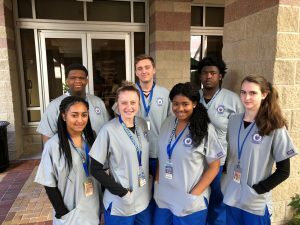 Seven Aerospace Academy juniors were selected as the 2018-2019 Northrop Grumman High School Involvement Program (HIP) interns. They will spend four hours each month during their junior and senior years, completing STEM projects under the guidance of Northrop Grumman engineering mentors. Law and Homeland Security students attended the Florida Public Service Association (FPSA) Regional competition, held at the SJR State St. Augustine campus. The students placed in all categories and took home 1st place in the Evidence Packaging, High Risk Traffic Stop, Prepared Speaking, and Fingerprinting competitions. 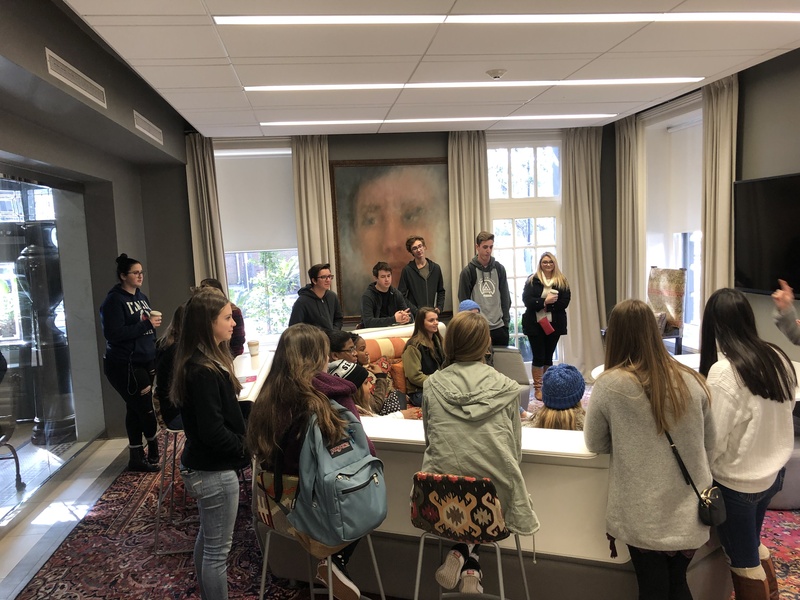 Creekside High School Digital Media Academy students toured Savannah College of Art & Design (SCAD). Students in the IT Principals Cybersecurity course were treated by Citi on a tour of their facility. Creekside High School, along with the American Water Works Association (AWWA) hosted the 8th Annual Model Water Tower Competition. Joey Watson, a senior in the Academy of Engineering and Environmental Sciences won 1st place at the event! The prize included a $200 scholarship! Freshmen students in the Environmental Sciences attended the Guana Education Center. Students worked with scientists to collect water samples and pull seine nets to determine healthy estuarine environments for species biodiversity. 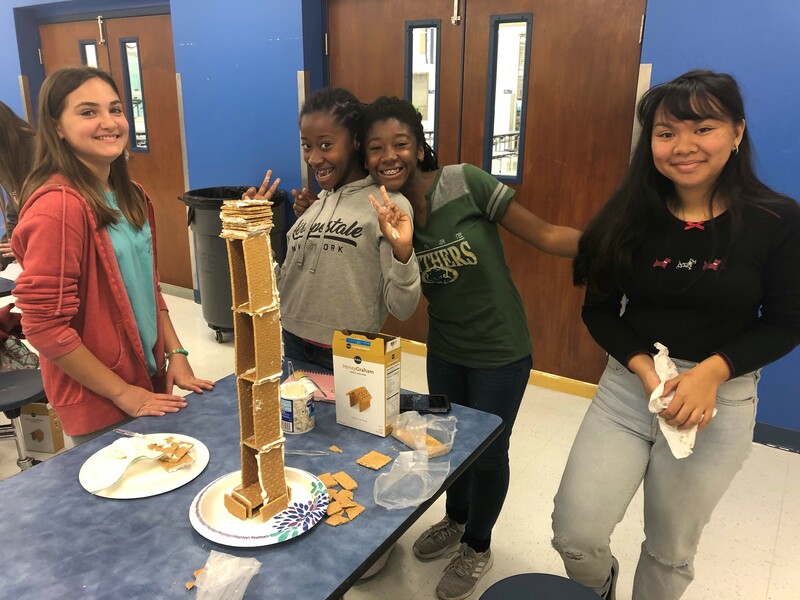 Nine ladies with Nease’s Stellar Academy of Engineering took their engineering skills and knowledge to Pacetti Bay Middle School, to run a STEM event with 8th grade girls. Led by Academy Instructor Morgan Hunter, the ladies participated in a gingerbread tower building contest. This was a wonderful way to introduce the 8th grade girls to engineering concepts and skills, as well as have the opportunity to work with older students already in the Academy program. Forty students from the Flagler Hospital Academy of Medical and Health Careers participated in an employee orientation. These students are beginning their semester of rotations at Flagler Hospital and will shadow over 40 different departments in the hospital and a few other locations to get hands on experience in various medical careers. 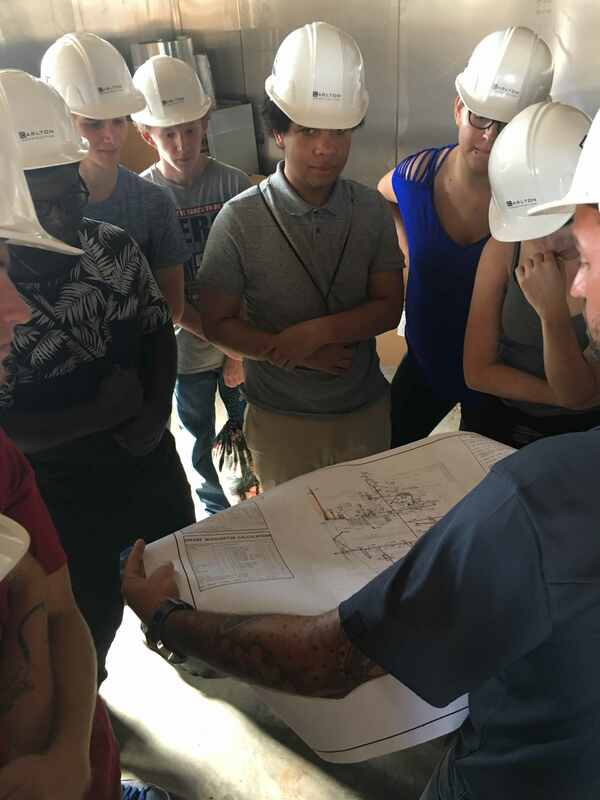 Drafting and construction students toured Nocatee Spray Park Construction Site. Students from the Academy of Culinary Arts were recently treated to a fun-filled and educational day at the Raintree. 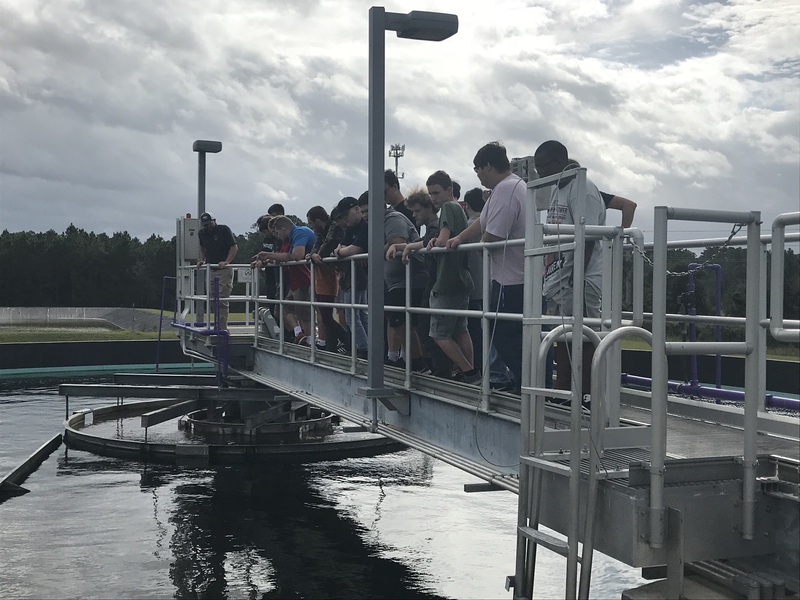 Students St. Johns County Utilities’ drinking water and wastewater facilities. They observed first-hand how our drinking water is pulled from the Aquifer, processed and distributed to our municipalities. 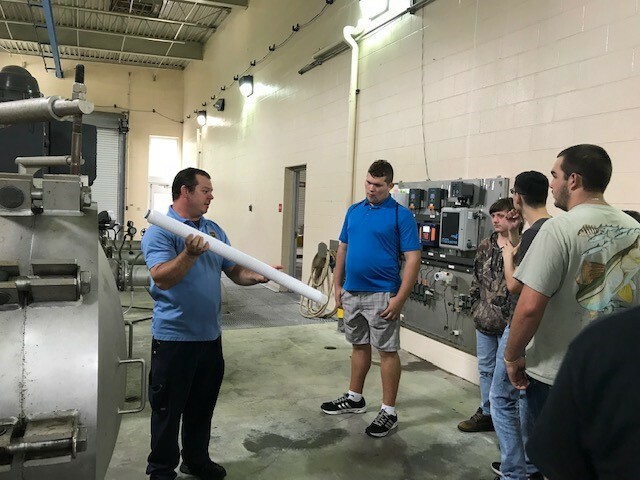 The students also traveled to a wastewater facility to examine the many processes necessary to clean and reclaim the wastewater that is pumped from our homes and businesses. In August, a new group of St. Johns Technical High School (SJTHS) students began their internship at Carlisle Interconnect Technologies. 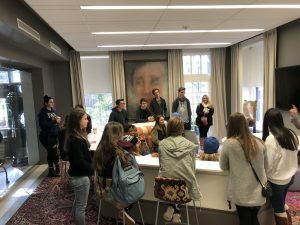 During the initial tour, the SJTHS students saw four alumni. Students in Marketing are preparing to be Social Media Caddies for The Players Championship in March. Two students were selected and completed a summer-long internship with the Mayo Clinic.